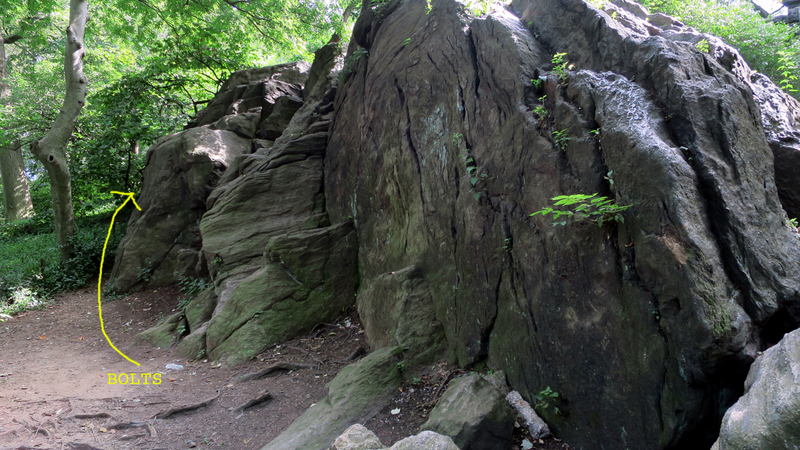 Located just inside the Naturalist Gate of west 77th Street, there are no known climbs or problems on this small, irregular Central Park boulder. But there are two old bolts. 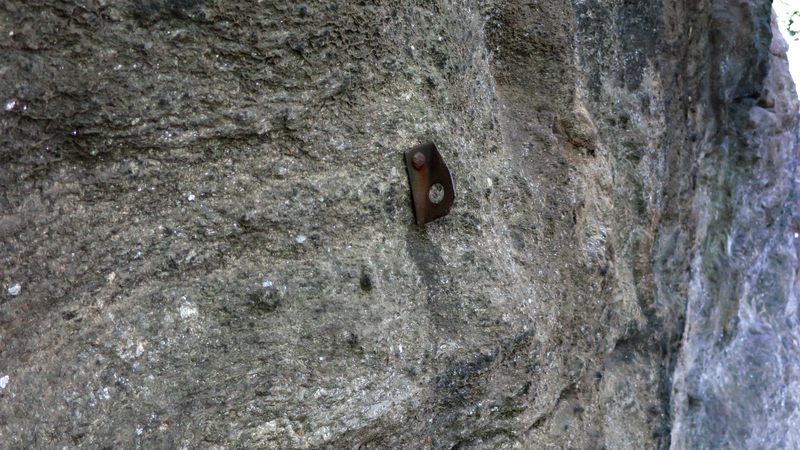 Where these bolts came from and why they are there is entirely unknown. 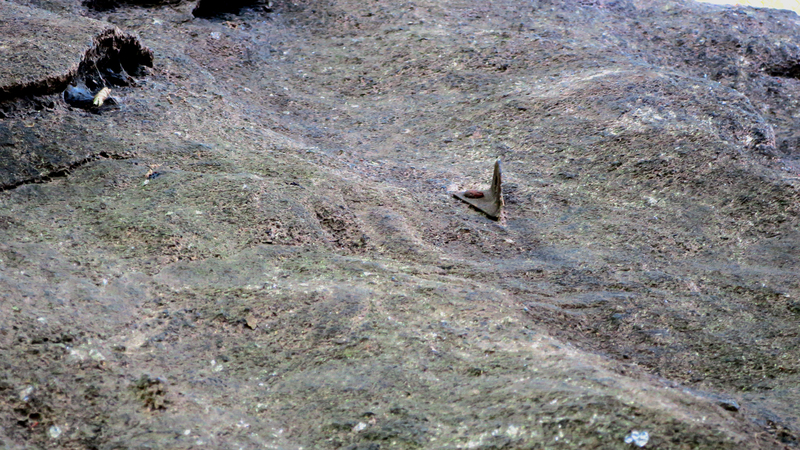 Since the first bolt is only a few feet off the ground and the second bolt is just beyond arm's reach on the upper sloped part of the boulder, the one guess is that these were placed simply as practice. The rest of the boulder offers nothing in regards to actual climbing. Regardless, we mention the boulder here for two reasons: 1) historical reference of the two very old climbing bolts and 2) draw the attention of the dedicated climber to the large man-made walls nearby that offer a lot of climbing potential.